Our pink Luxe cover-up was featured on Babble.com as a perfect Valentine's Day gift! 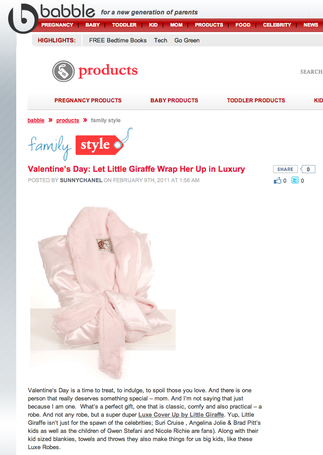 "Let Little Giraffe Wrap her Up in Luxury!" Our pink Luxe cover-up was featured on Babble.com as a perfect Valentine's Day gift!